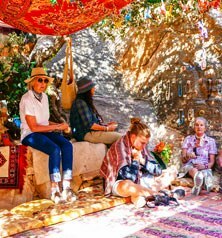 Our walk begins in Amman - (direct flight connections from Dubai to Amman with Emirates or Royal Jordanian) and promises an exciting exploration of Jordan and its antiquity. 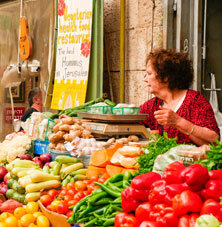 It also includes 3 nights in the Holy City of Jerusalem in Israel (political circumstances permitting). From Amman we visit the fabulously preserved Roman ruins at Jerash, an archaeological masterpiece consisting of a triumphal arch, stadium, huge fountain, temples and collonaded streets. We cross the border into at the King Hussein-Allenby Bridge into Israel, one of the three passages from Jordan. 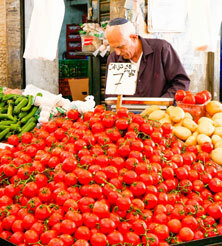 Here we will explore the treasures of Jerusalem from the times of King David to the Prophet Mohammed. We walk to the West Wall and can write our own personal prayer note to tuck into the wall, see the golden dome of the mosque on Temple Mount, and follow the path called the Via Dolorossa, where Jesus carried his cross past the Stations of the Cross and we view the Old City from the heights of the Mount of Olives. We cross the border back into Jordan at the Eilat border and have a short visit of Aqaba at the Red Sea in the south of Jordan. 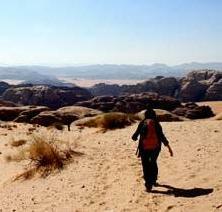 We travel to Wadi Rum, once Lawrence of Arabia's headquarters during the Great Arab Revolt of 1917-1918. Rocky peaks rise out of pink sands and Desert Bedoudines ramble these sands with their camels. 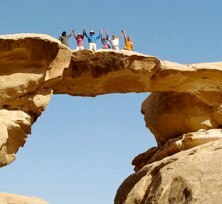 Together with our local Bedouine guide we will explore some amazing canyons and walk between towering sandstone cliffs. The ever changing palette of colours is best seen at sunrise or sunset. In the late afternoon we enjoy a gentle camel ride, ending the day with a traditional Bedouin feast and gazing into the stary sky! 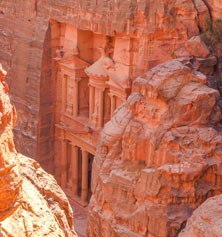 We discover fabled Petra, the long-lost city of the Nabateans, a stunning ruin carved from solid red sandstone in the 3rd century BC. 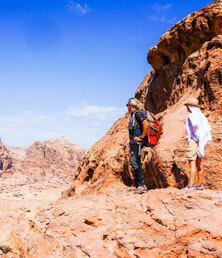 Petra is a world heritage site and the sheer sandstone hills form a deep canyon that protects it in all directions. Our walks in Little Petra and Petra take us through the Siq and the Treasury and Royal Tombs. We cross mountains with wide views before descending to the Monastery and climb to the High Place of Sacrifice. One evening we can enjoy Little Petra at candlelight and we even experience a "hands on" short cooking class. On our way to the Dead Sea we walk in the Dana Nature Reserve - a region of wadis and mountains. Ever since the days of Herod the Great, people have flocked to the Dead Sea in search of its curative secrets. With the highest content of minerals and salts in the world, the Dead Sea water is thought to possess healing properties, and the mud on the shores has been used for therapeutic purposes for over 2000 years. Float in the natural buoyancy of the Dead Sea by its mystical setting and luxuriate at the truly magnificent Spa in our exqusite resort. On our way to Amman we visit Mount Nebo, from which Moses glimpsed the Promised Land. 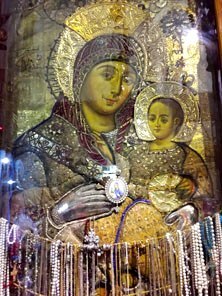 We also visit Madaba, famous for its mosaics, especially the ancient map of the Holy Land. 4 nights are spent in very comfortable chalets of a luxurious Desert camp which blends naturally into its surroundings. It has exceptional views of the Moon Valley, a large modern kitchen and even a swimming pool. It was hand built by its Jordanian owners in the Bedouin Arabic tradition, using mostly natural materials from the direct surroundings. The next 4 nights we are at the 5* Moevenpick Resort Hotel in Wadi Musa, directly at the entrance to the historic city of Petra. It certainly has oriental flair and features an exciting combination of natural stone, handcrafted wood and Middle Eastern fabrics and textures. The hotel has an outdoor pool, steam bath and a fully equipped gym. 2 nights we stay in the historic village of Dana, far from noise and traffic. Our newly built rooms have a private balcony with an amazing view. The Kempinski Ishtar is a truly luxurious and exclusive hotel, overlooking the Dead Sea and famous for its ozone-rich air, mineral loaded seawater and ultra-violet filtered sunshine The amazing spa complex is set amidst glorious gardens dotted with lagoons, waterfalls and private pools, with indoor Jacuzzi, ice cave, steam room, Ayurveda, Asian therapies and local salt and mud treatments - the perfect setting for our final stop in Jordan. A wonderful holiday with a good mix of historical culture, spectacular scenery and gentle walks." Pamela and I thoroughly enjoyed this walk. The walks, the accommodation, the guides, the scenery, the history, fellow walkers, everything. The bus, very roomy, and the bus driver who was very helpful deserved praise, which we gave him. Aqaba was of little interest except for the Red sea and Hotel Moevenpick. Wadi Rum just great. Accommodation fine - showers could have a bit more pressure and the food needs more variety. Prepared lunch more variety not bread (Turkish okay), biscuits great and fruit. Billy tea great. Traditional Bedouin evening meal - not good. However, sitting on the rocks watching the sunset fantastic. Camel ride very good. Petra was fascinating. Traditional Bedouin evening meal great at Little Petra. Need to sit on a bit of height, rock or bricks. Not so much food. Great hostess. Walks great. Doubt need to do Petra at night (even though spectacular) - sound system not good. Hotel great. Good size rooms facilities good, meals excellent. Petra kitchen cooking class very worthwhile. Great walks. Loved Israel. Thought the Austrian hotel and its food okay. The restaurants we went to - just great. Diverse and high quality. Loved the markets and seeing the places of historical interest. Jerash and the Roman Ruins great. Pity we did not get to see the Caligraphy centre near the Ajloun reserve. 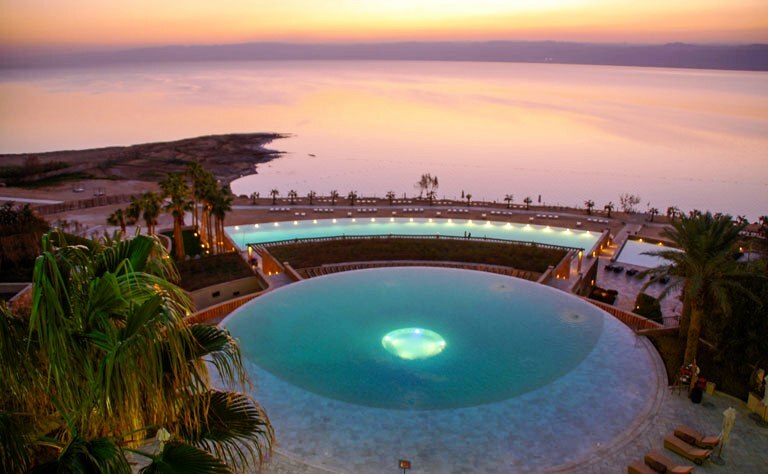 Dead sea and resort just fantastic. Loved the way we went down back streets getting to places. Saw things we would not get to see. Better to start walk in Amman rather than Aqaba. Not a lot to see in Aqaba and difficult to get to except in the morning and/or the evening. The first day we did not do a lot. Might have been better to meet in Amman and drive straight to Wadi Rum provided it did not take more than 3/4 hours - be there for lunch. Think our discussion on the last day brought forward some very good ideas. everyone involved was pleased with the trip."